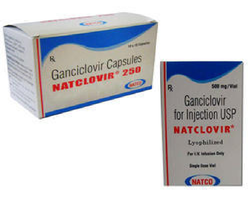 Prominent & Leading 100% Export Oriented Unit from Nagpur, we offer ganciclovir capsules. Dose/Strength (ex. 1 mg or 1 ml) Adult: 1 g tid. Looking for Ganciclovir Capsules ?